The opening lines of the book are intriguing and so is the whole mystery. This books has a lot of twists and turns, and the author continues to surprise you till the last page. The story sounds pretty simple in the beginning but then gradually grows complex. DI Tina Boyd's team is after a murderer famously known as "Night Creeper." Whereas, Sean Egan is an undercover cop who is on an official mission. Both realize that things are far more difficult than they thought when they set out to do it. Sean has infiltrated a gang of dangerous criminals and put his own life at cost. On the other hand, Tina finds some clues that point towards the involvement of more (bigger and influential) people in the murders they are investigating, making it a bigger case. This book also shows you the corrupt side of politicians and law-enforcing agencies. We know little about Sean's background; it is steadily revealed when the story progresses, and we finally come to know the motive behind his mission. We come to know about Tina's past painful past as well. I really liked Sean, as a character, and was particularly interested in Sean's fate in the end. If you read this book, you'll most likely end up reading other Kernick's book.What I like about the author's style is, he always leaves a slightly open end which is then continued in his other book. 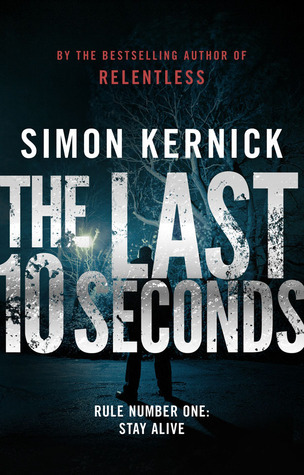 After reading 3 books by the author, Simon Kernick has become my second favorite author (after John Grisham). This book was recommended to me by sister back in 2011 and I have finally managed to finish it. I absolutely loved this book and regret not reading it earlier!